The objective of the training program is to contribute to the development or strengthening of policy frameworks by promoting knowledge sharing with key stakeholders in low income settings. 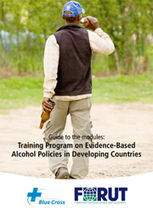 A new Training Manual to support evidence-based alcohol policy development in low income settings is now available! 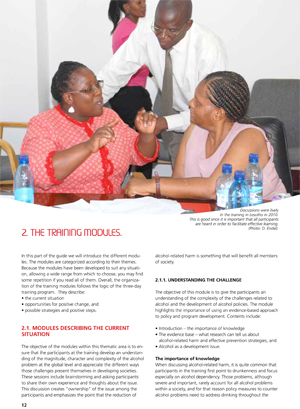 The manual has been developed on the basis of pilot trainings in seven African countries. Blue Cross Norway and FORUT are therefore launching a Training Manual to support evidence-based alcohol policy development in low income settings. This manual is designed to assist anybody anywhere to both learn and train others in evidence-based alcohol policy making. The training material is based on the contents of international key documents; Alcohol No Ordinary Commodity, Alcohol in Developing Socities, The WHO Global Strategy to Reduce the Harmful Use of Alcohol, The Global Status Report on Alcohol, the Global Burden of Disease study etc. The content of the new manual is module based and well tested and informative both on topics relevant to policy making, and also how to practically carry out the training. You can download the Training Manual here: English version and French version. 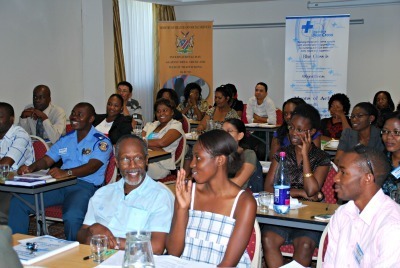 FORUT and Blue Cross Norway have since 2009 implemented a Training Program on evidence-based alcohol-policies in partnership with NGOs, Ministries of Health and WHO in selected countries in the Southern-African region. The objective of the training program is to contribute to the development or strengthening of policy frameworks by promoting knowledge sharing with key stakeholders in low income settings. The modules are specially designed to be context sensitive and to ensure a participatory approach. They may be used separately or combined as three-day training. Training sessions have so far been held in the following countries: Malawi, Botswana, Namibia, Chad, Lesotho, Madagascar and Zambia. 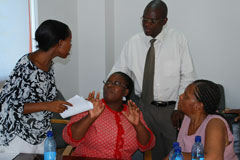 Pictures from some of these trainings are shown below. In November the material will also be made available in French. 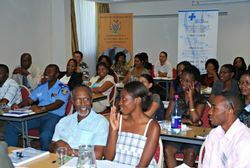 Working in partnership with civil society organizations in Southern-Africa, the training program is found to have had significant positive impact on national alcohol policies that are being developed or revised in countries in the region. Through its activities the program has also been instrumental in establishing regional and national alcohol policy alliances. By making this Training Manual available online, but also in hard copy, we hope that many more persons and organizations will start exploring how they can contribute to the development of evidence-based alcohol policies in their settings. A society where effective strategies to prevent the harmful use of alcohol are implemented, will be a better society to live in for all.